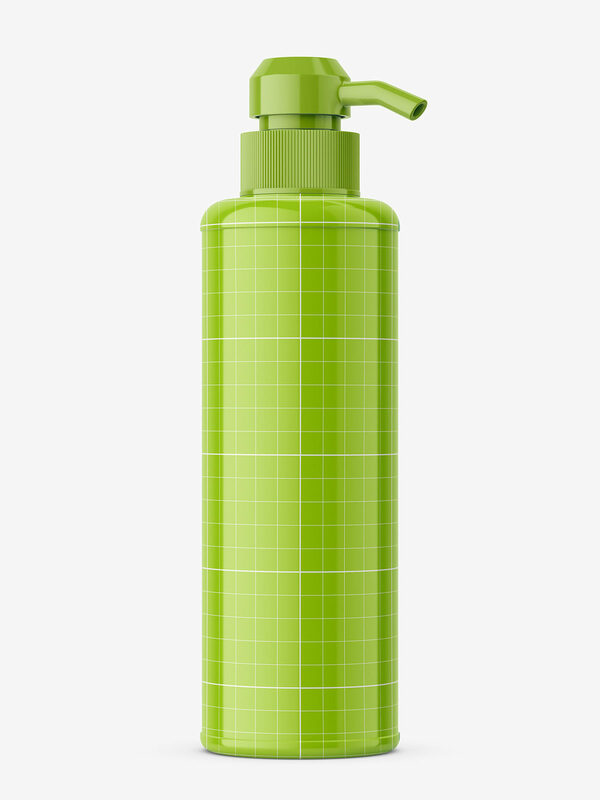 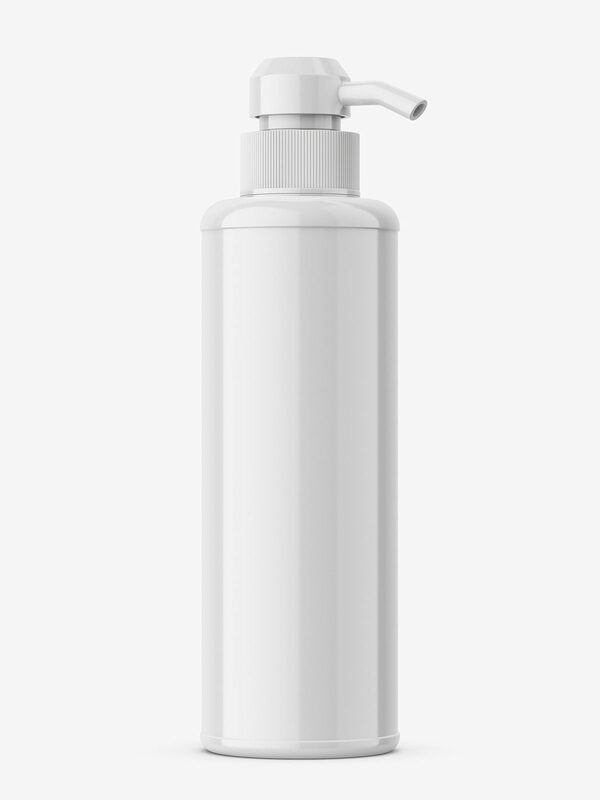 Simple bottle with unusual pump cap. 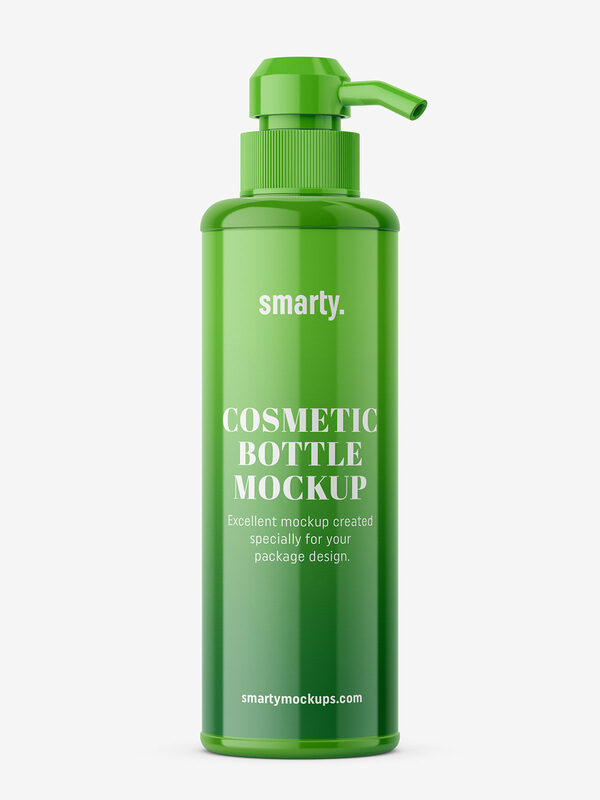 Such packagings are often used in cosmetics or hair styling industry. Created with great attention to details.